This month's theme is prayer, which is even more appropriate with all that is going on in the world. 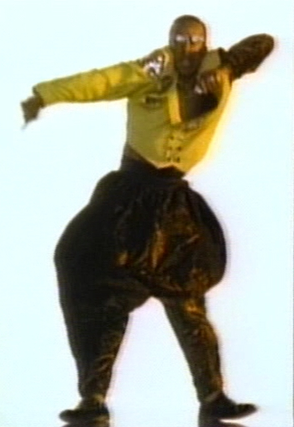 Although MC Hammer will ultimately be remembered for "Hammer Time" and those silly pants, one of my all-time favorites is "Pray:"
Just to make it today. Wikipedia defines prayer as "an invocation that acts or seeks to activate a rapport with an object of worship through deliberate communication." This sounds rather cold, distant and technical, and not really what Jewish prayer is about. Rabbi Lord Jonathan Sacks waxes most eloquently in the introductory essays in the Koren siddurim: "Prayer is the language of the soul in conversation with God. We talk to God. We bring Him our thanks and our hopes, our fears and our dreams." Anne Lamott grew up atheist and considers herself a "born again, left-wing Jesus lover." But her thoughts about faith and prayer are universal. She shares her insights in Help, Thanks, Wow: the Three Essential Prayers (Riverhead Books, 2012). "Asking for assistance, appreciating the good we witness, and feeling awe at the world...get us through the day and show us the way forward." Filled with her hallmark honesty and wit, Lamott reminds us that "prayer is talking to something or anything with which we seek union, even if we are bitter or insane or broken. 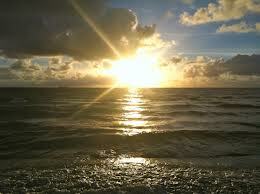 (In fact, these are probably the best possible conditions under which to pray.)" Koren has embarked on a new project: the Koren Magerman Education Siddur Series includes age appropriate prayer books for several levels. "With emphasis placed firmly on the critical foundations of Reflection, Connection, and Learning, this series of siddurim creates an impactful prayers experience that places God and the user at its center." The siddur for ages five to seven-year-olds (kindergarten through second grade) is very cute, with mixed media illustrations, large clear print, and a key at the bottom of each page that indicates the part of the service (Morning Blessings, Amida, Shabbat Morning). It is also filled with questions and comments, like "How can we show that Hashem is King?" The second siddur in the series is for ages eight through eleven (grades three through five), and has fewer and more "mature" illustrations, but continues with the easy-to-use format with the key at the bottom of the page. While the prayers are not translated word-for-word, key phrases are highlighted, and there are more questions and comments, as well as stories and parables. Both of these come with an "Educator's Companion" for teachers and parents that includes explanations of the text of the prayers, the significance of the accompanying illustration, and the kavanot or intentions. The Youth Siddur companion also includes a review of the educational themes and thought questions. Young daveners graduate to a prayer book suite to twelve to fifteen-year-olds (grades six through eight), and then to the Ani Tefilla Siddur, which is for grades nine through twelve (ages fifteen and up). Thank you Koren for the beautiful "Summer Camp Siddur and Chumash for reflection, connection, and learning. One of my not-so-fond memories of camp was scrambling through a pile more suited for shaimos (a repository for sacred texts to be disposed of respectfully) than for daily use. Alas that this volume did not exist with its Foreword by Rabbi Lord Jonathan Sacks and diagrams of the structures of the prayer service. The commentary are divided into four sections: one that explains the context or words and phrases of the prayer; a look at the deeper meaning of the prayer; the laws of prayer; and selections to "encourage connection and tefillot in a direct and personal way. I think I am going to use this one myself to enhance my daily prayers. In another volume from Koren Publishers, Holistic Prayer: A Guide to Jewish Spirituality (Maggid Books, 2014), Rabbi Avi Weiss shares "ideas, concepts, themes, and approaches that have helped him on his personal journey to realize the infinite depth and power of prayer." The book is divided into three sections: Goals of Prayer, Why Set Tefilla? (time, place, text) and Spirituality. This is such a great choice for people looking to enhance their experience, and must like the holistic approach to medicine, it encompasses the whole person - mind, body and spirit. We pray for the Ultimate Redemption -- may it come speedily and in our day!